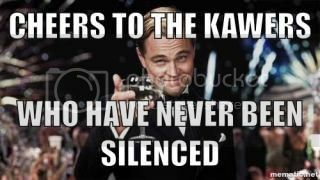 This thread is an update on the previous KaW silencing thread from 2012. It has been reviewed by ATA for accuracy. Many thanks to KaW_Community, LegendaryHero, Eagle, Saber, and SouthernSweetie. These rules apply to Forums as well as WC and Walls. Silences can be done by Moderators or the ATA support staff. 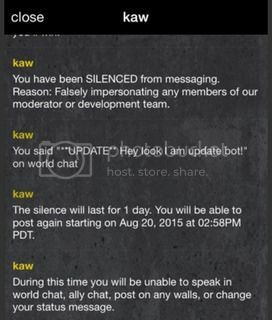 You WILL NOT be able to post world chat or walls for the duration of the silence. You WILL still be able to post private message and post clan and ally chat. 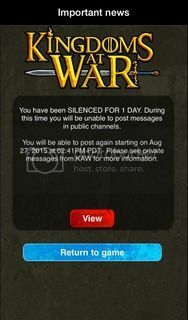 Kingdoms at War have a new silencing update system, whereupon you are notified of you silence in pop-up when you open the game and in personal message. The personal message details exactly what you said, and the corresponding rule it broke. Note: Moderators do not assign the length of the silence. This happens automatically based on your silencing history. Silences accumulate: Silenced (1 Day) -> Silenced (1 Week) -> Silenced (1 Month). Permanent silences can still occur at the discretion of Support. 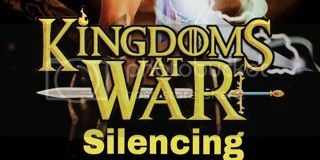 If you are permanently silenced, you will not be able to use any of Kingdoms at War chat options, with rare exceptions. Resetting your profile does not remove your silencing history. Moderators cannot lift a silence. Only ATA Support can actually lift a silence. Don't lie to them; they can (and will) bring up records of exactly what you said. If you believe your silence was unfair, please send a ticket in to support with full details. Posting WC or Forums trying to incite popular support will not help your case. If you are messaging about a permanent silence, you will be given a specific date when you can appeal. It is not wise to send multiple emails before this date, as it won't look good when your case is reviewed. What do silencing tools look like? We cannot just silence for no reason. 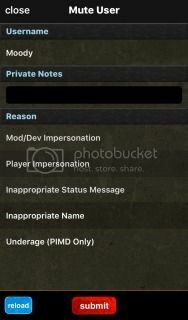 Moderators must fill out a form describing your offense. Please note the post below is not silenceable, and is merely an example. This brings us to the silencing tools. Selecting one of these reasons will silence the user, send a pop-up notification the next time you open the app, and issue a PM to the user detailing their infraction. This process is the same when Mods silence for wall posts by following the red flag. After that is done, we press the red dash button and remove the post. This screen has extra tools to silence for status message, or, commonly, inappropriate usernames (which includes impersonating someone else). Let's look at these more closely. A bypass means you have avoided the language censor to make a filtered word show. This also applies to account names.The bypass censor is updated intermittently. A word that may have once been OK may no longer be acceptable. The best way to test is by posting in your ally chat or asking a mod. Let's pretend Blue is a censored word. Example: Bl-ue, Bl**, Blue_ue, or (given context) "B Off"
Note: If the word is caught by the censor and shows as a blank space (" yeah", for example) it is generally not silenceable unless it is in an indecent context. Tip: Type naturally and you won't be silenced for bypass. This section prohibits indecent content, and that which is harmful, torturous, vulgar or obscene (such as referring to sexual violence). Example: Everyone from _____ country should be exterminated. Don't make inappropriate jokes about kids, enough said. Example: I will hit you so ****ing hard in your ****ing *** that your **** will bleed. Example: Don't draw boobies or any other rude parts of your body in public chat channels. This silence is done to protect players safety. There are a lot of creeps in online games, so we have these rules to protect you. Example: "I'm a girl, not that it matters!" is permitted. Note: You can share this at your discretion, but you cannot publicly request it off another user. You also cannot use it to solicit other users. Example: "Girls over 18 wall me” is silenceable. 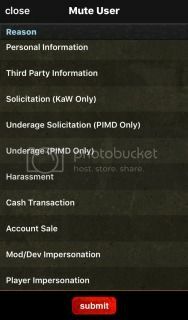 Note: selling/buying accounts is also silenceable under this section because you are requesting personal information. 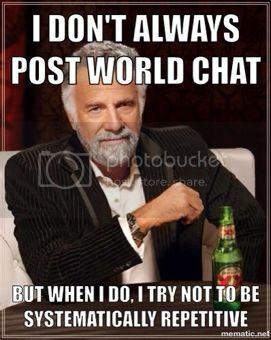 Our public chat channels are intended for people to talk to others in separate clans, so spam posting rules do apply. Separate rules apply for lone spammers, clan spam, nonsense posts, slightly varied posts, or chain posts. Allowed 2 same/similar posts per 5minutes. The third post and beyond is silenceable. 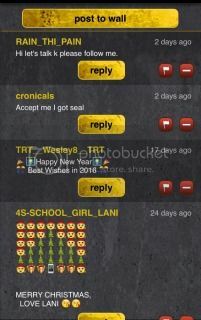 Each clan is allowed 4 same/similar posts in 5minutes. The 5th post and beyond may be silenced. This includes clan/alliance pride. 4 same/similar posts in 5 minutes is permitted. The 5th post and beyond may be silenced. It does not matter if you are in the same alliance while in a different clan, mods will silence off the content. This includes keyboard smashing: ie. hdfgajhdgfkjagf or emoji spam. 1, 2, 3 or a, b, c style posting where it is a single letter posted in a chain. • 20 or more same/similar posts on a wall. The wall owner has a responsibility to report this. Example: "Everyone download RandomApp from the App Store! It's awesome!" • Disclosing or asking for information for another app/game which can be used to identify you. Example: "My gamertag for RandomApp is Player2015! Let's play! Example: Who has bought the newest Destiny game on Xbox? • Refers to encouraging or promoting illegal activities like cocaine, movie piracy, and prostitution. • Discussing, encouraging, accusing, or engaging in botting. • Offering people nobility discounts, asking for udids, or attempting to buy or sell ATA accounts. Example: Follow me for cheap nobility, I have a cool deal with the Oracle! • Calling yourself KaW_admin or impersonating ATA staff. • The deliberate and malicious impersonation of another player. Normally, we can tell if it's inadvertent by a new player, or an intentional impersonation to defame/mislead people about the owner of that account. [update:] Daphnia has been silenced. [update:] I am the true king of KaW. Harassment silences normally happen when people cross the line in banter. Example: "If I ever find out where you live, I will kill you." • Includes claiming a player is cheating and making other false claims against them in an attempt to defame them. Example: KaWPlayer2015 uses bots to play his purchased accounts. • Systematically posting someone's wall with baiting or hateful comments. Tip: If you are being harassed, please talk to moderator who you feel comfortable with. We can operate as your voice to support. No one should be a silent victim. • This refers to using discriminating/offensive language to people based on their gender, sexual orientation, nationality, ethnicity, or disability. Example: All unnatural ____ deserve to be shot, I can’t stand them. Tip: Don't post nasty or hateful things about peoples sexual preference or race. Respect everyone's diversity! 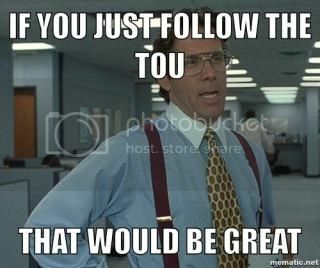 • Trying to trick, incite, or coerce others to break ToU (often targeted at new players), is against ToU. You can be silenced for this. This includes making it part of a CF condition. 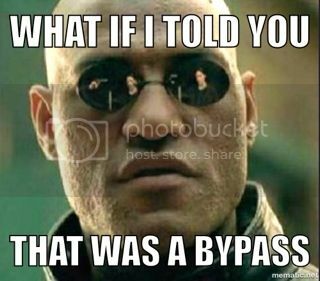 Example: "I dare the next person to bypass." "If you bypass on WC in front of the mods I will stop hitting you." • If you threaten to damage ATA with hacking/reverse engineering, it is the same as threatening a person and is prohibited. Apes are people too... nearly. Don't offer money for things, and don't try and get real money off people through farming or otherwise. Accusing people publicly of buying and selling accounts, or trying to sell your own (or someone else's) account is strictly prohibited. That information should be sent directly to support for investigation. Example: "KawPlayer2015 bought his account off K98279! He didn't even build it! 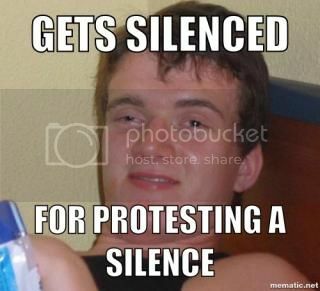 Yes, complaining or protesting a silence is silenceable too. Silences are strictly between the player and Support. All the WC posts in the world aren’t going to change anything. 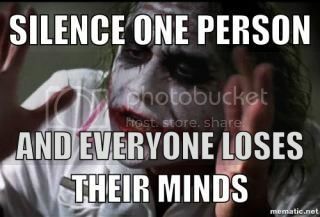 We don't like to enforce this one except in extreme cases, but it is silenceable. Example: Why was I silenced!!? Such as when two players derail a thread with a personal dispute. 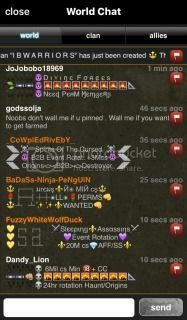 This is basically the forum equivalent of WC spam. Posting meaningless, low-rate posts throughout forums to raise your post count. Depending on the context, this is used for incendiary religious or political topics that provoke rage in the community. These topics are best avoided. These are normally opening posts in forums with only 2-3 sentences and are generally rubbish. If they are found to be spam, they can be locked at a Moderators discretion. Tip: If you want to be good forumer, post well-thought out threads. Clogging Active Topics with half-thought out ideas will be poorly received. Once a thread has been locked, it will show this padlock icon. Please do not repost a thread that has been locked by a moderator or Support, as it may result in a forum ban. 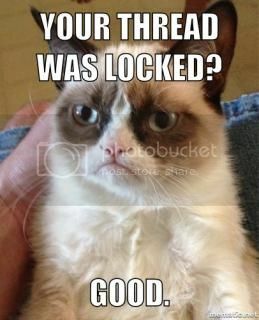 Protesting a thread lock, removal, or ban of an account is against the rules. Threads such as these will be locked and graveyarded. Persistent reposting may result in a longer ban. • We DO NOT silence for private messages. If someone is being horrible, don't have them in your pm. Keep them on your wall where we can help. • We DO NOT silence for clan chat. • We DO NOT silence for Ally chat. In extreme situations, Support may take action at their discretion. • We Do NOT silence for stripping or farming. • Only the support team can silence off screenshots. 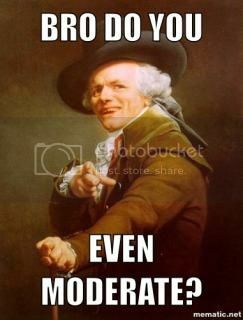 Moderators can't and won't. 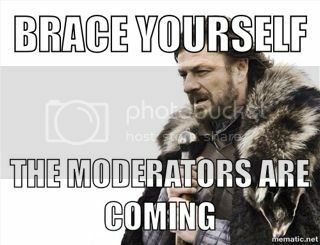 See the Current Moderators and Knights for the most recent list. • Ask for a mod on WC. 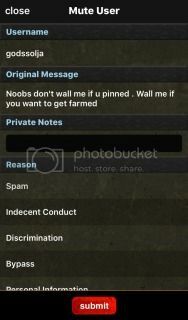 • Mods are responsible for stopping people from farming each other. • We are community volunteers and are not paid. We only receive a silencing toolkit and speakers in order to moderate. Ask us!! If you are unsure on any of these points, please do not hesitate to contact a moderator to explain it to you. Or, go straight to the top and ticket the friendly ATA Support team. The fewer silences, the better. Most of the time, if you type naturally, you should be fine. 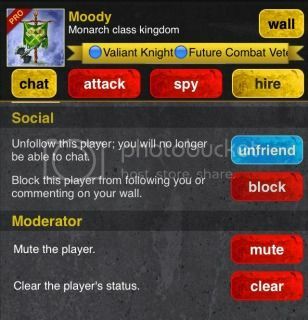 Do you understand these rules better than anyone, and think moderating Kingdoms at War is for you? Apply here! **NOTE** This is a repost from Daphnia. Some information has been edited to be more correct with modern day Kaw but let me know if there are any glaring errors. Last edited by Moody on Apr 3 2018, 2:55am, edited 1 time in total. I’ve seen the mod tools, there’s a glitch we’re the tools appear but can’t actually silence them, think it’s patched now. Why would anyone want to impersonate a mod /developer .. It might be a nice sidenote for what ISNT moderated is because its behind closed doors, and your choice to expose yourself there. You can leave a clan, block someone, or drop an ally. Only thing you can't control is if you are hired, and your owner is putting things into your ally chat. Also I was not aware of the "silencing decay" and the 3 strikes =/= permanent. Good to know. "All the wc posts in the world aren't going to change anything" *unless your name is Swabia. Moody wrote: Accusing people publicly of buying and selling accounts, or trying to sell your own (or someone else's) account is strictly prohibited. That information should be sent directly to support for investigation. Also Delphine, not sure what you mean about what ISN'T moderated? masterchifchaf wrote: Also Delphine, not sure what you mean about what ISN'T moderated? • Only the support team can silence off screenshots. Jesus this made it more confusing.